Kew Gardens, Queens, evolved with the dawn of the 20th century. The lush, hilly terrain the backbone of Long Island is situated north of the Victorian village of Richmond Hill. In 1910, Alrick Hubble Man noted the 1909 completion of the Queensborough Bridge and envisioned a modern sister community to Richmond Hill in this northern terrain. He developed Kew Gardens, offering people the ability to have homes in an area of breathtaking country beauty while continuing to work in the city. The century-old Kew Gardens Civic Association, formed in 1914, remains a vibrant, active organization. 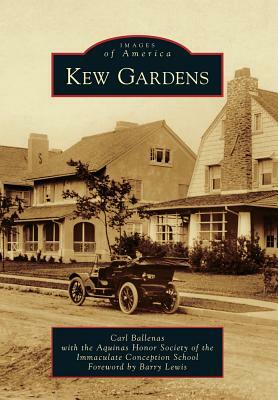 Its members were a large force behind the advancements in Kew Gardens; in 1915, they fought for underground wiring to prevent the installation of unsightly electric poles, and they continue to serve the community today.